Outside the auditorium of Morehead High School in Eden, the night air chills. Inside, the mostly middle –aged audience is warm and friendly. They have gathered to share their rich heritage of old-time music, one that has survived in the Eden area for almost a century. The current embodiment of that sound provides back-porch music. The Rockingham County Sheriff executes a clog dance while the band plays rhythmically along. One of the three fiddles usually takes the lead; the banjo, guitars, mandolin, and piano surge forward in unison. No jazzy bluegrass solos, no smooth Nashville pop, no honky-tonk songs about cheating husbands. `This is the sound of country music’s earliest commercial period, the 1920’s and 1930’s. Then it was called hillbilly music, and it was made by rural Southerners for rural Southerners. Piedmont North Carolina, especially the mill towns of Leaksville, Spray and Draper – now called Eden 1 – formed a hotbed for such entertainers. 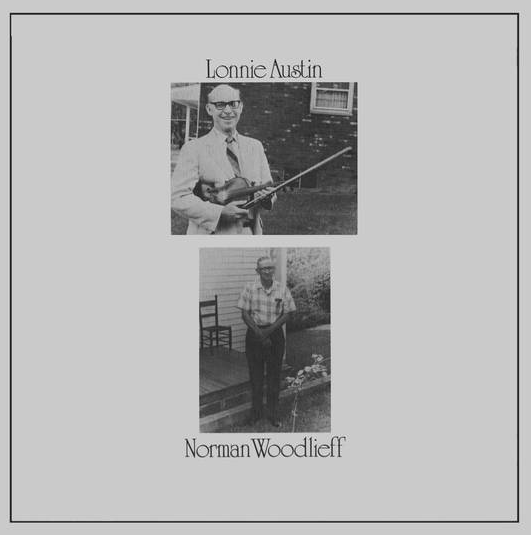 Although the Sweet Sunny South is made up mainly of second- and third-generation musicians 2, tonight two old-timers, Lonnie Austin and Lewis McDaniel, join them. Austin, mainly a fiddler, 3 traveled and recorded with Charlie Poole, Piedmont North Carolina’s most successful hillbilly musician. In 1930 and 1931 McDaniel cut records for three major manufacturers of hillbilly waxings, Columbia, RCA Victor and the American Recording Company, and he had several regional hits.4. A singer, guitarist and songwriter, McDaniel often worked with Walter “Kid” Smith. Also from the area, whose success and popularity was exceeded only by that of Poole. McDaniel and Austin provide a living link to the early days of commercial country music. So do Tyler Meeks and Norman Woodlief, two more old-time musicians from the Eden area. Only Woodlief, now eighty-two, has been forced by bad health to quit playing music. Austin, now seventy-eight, mostly plays the organ with the musicians who gather regularly at his home, and Meeks, ninety, still plays a mean blues guitar to accompany the songs the learned seventy years ago. Ruddy-faced McDaniel, seventy-six, now lives outside Ridgeway, VA, where he has formed an otherwise all-female string band.